Nearly Too Cute to Eat! I made these cupcakes for a Mad Hatters Tea Party Corporate sample. I feel that I am getting the knack of working with sugarpaste and getting more character into each decoration for my cupcakes. 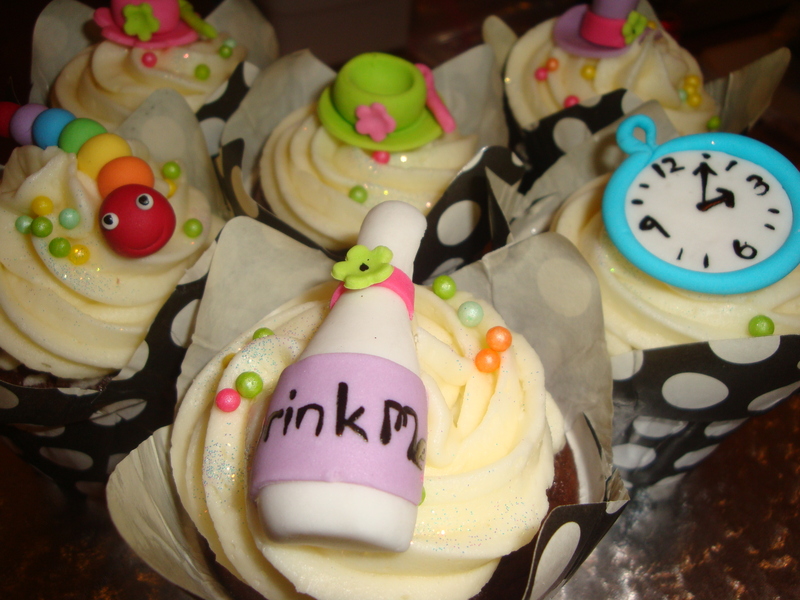 I loved how these cupcakes turned out with the pocket watch, drink me bottle, tea cup and mad hatters hat. Lisa you are a brilliant…well done! what lovely creations you are a star!!!!!! !